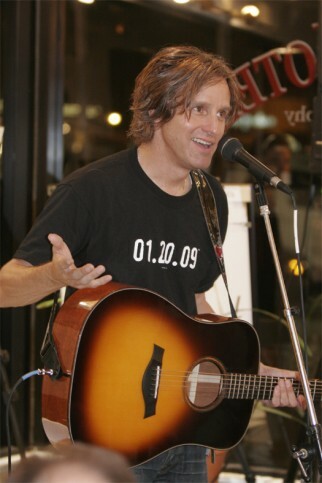 As a solo artist, Poltz performs mainly acoustic shows, and has been long known for his simple melodies and satirical lyrics. He formed The Rugburns with guitarist Robert Driscoll while the pair studied political science at the University of San Diego. The developed a cult following, and that later led him to develop a relationship with Jewel where he opened for her on tours and co-wrote songs. In 1998, Poltz released his first solo record, and he has since gone on to create an impressive body of work ranging from ballads to rock songs. In 2000, Poltz was awarded the title of “San Diego’s Most Influential Artist of the Decade” at the 2000 San Diego Music Awards. Most recently, Steve recorded his latest record in Halifax, where he collaborated with Joel Plaskett. Dreamhouse is the name of the record, and having been critically acclaimed across the globe, it was singled out by critics as the 2010 Album of the Year.